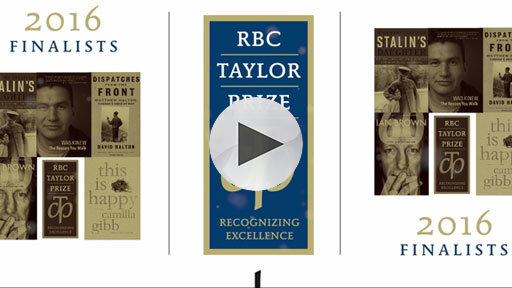 THE RBC TAYLOR PRIZE commemorates Charles Taylor’s pursuit of excellence in the ﬁeld of literary non-ﬁction. 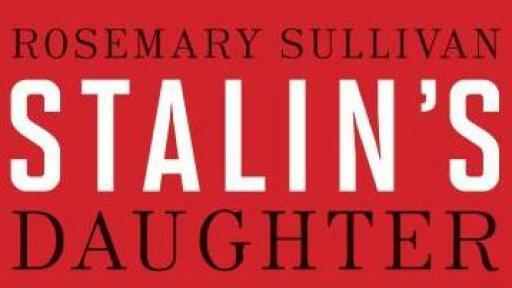 The winner of the 2016 RBC Taylor Prize is Rosemary Sullivan for her book Stalin’s Daughter: The Extraordinary and Tumultuous Life of Svetlana Alliluyeva, published by HarperCollins Publishers. 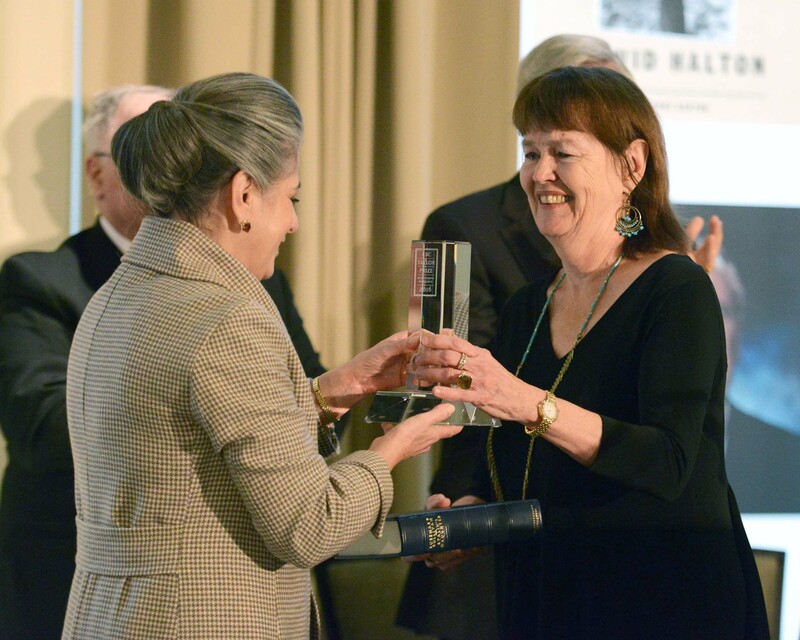 The $25,000 award was announced today by Prize founder and Chair Noreen Taylor during a gala luncheon celebrating this year’s finalists at The Omni King Edward Hotel in downtown Toronto. 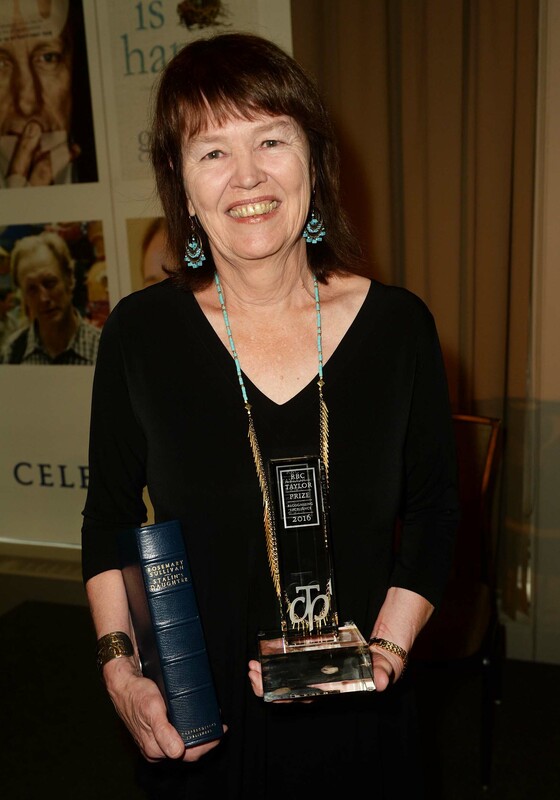 About the winner: Rosemary Sullivan has written poetry, short fiction, biography, literary criticism, reviews, and articles, and has edited numerous anthologies. 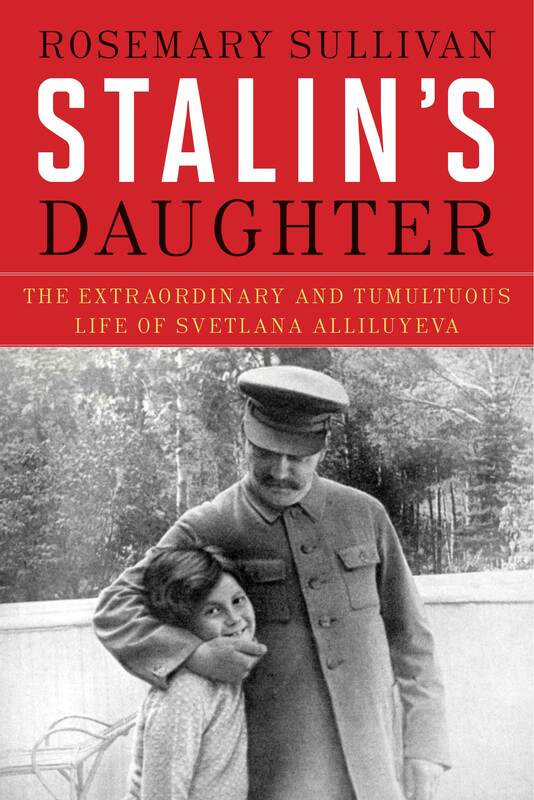 Her biography of Gwendolyn MacEwan, Shadow Maker, won the Governor General’s Award, the UBC President’s Medal for Canadian Biography, and the Toronto Book Award; Stalin's Daughter: The Extraordinary and Tumultuous Life of Svetlana Alliluyeva also recently won the Weston Prize and the BC National Book Award for Canadian Non-fiction. 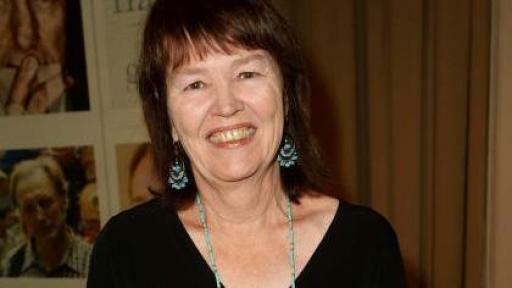 An Officer of the Order of Canada, she lives in Toronto. 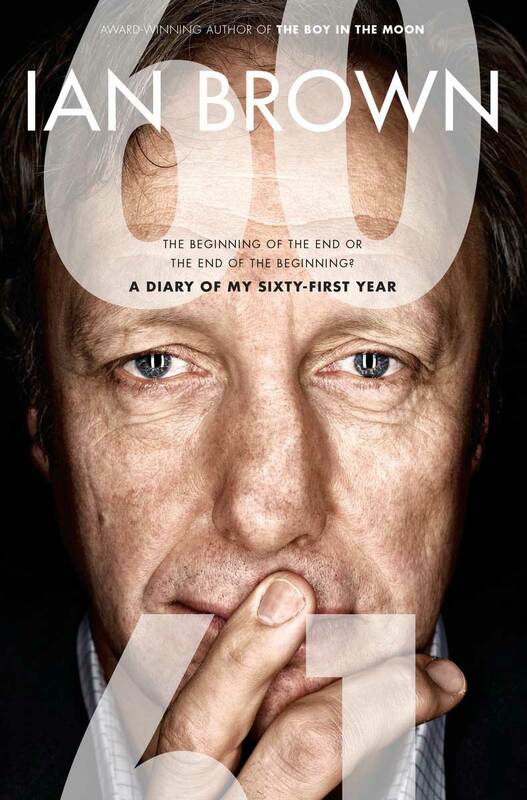 The four remaining 2016 Prize Finalists — Ian Brown (Toronto, Ontario) for Sixty: The Beginning of the End, or the End of the Beginning? 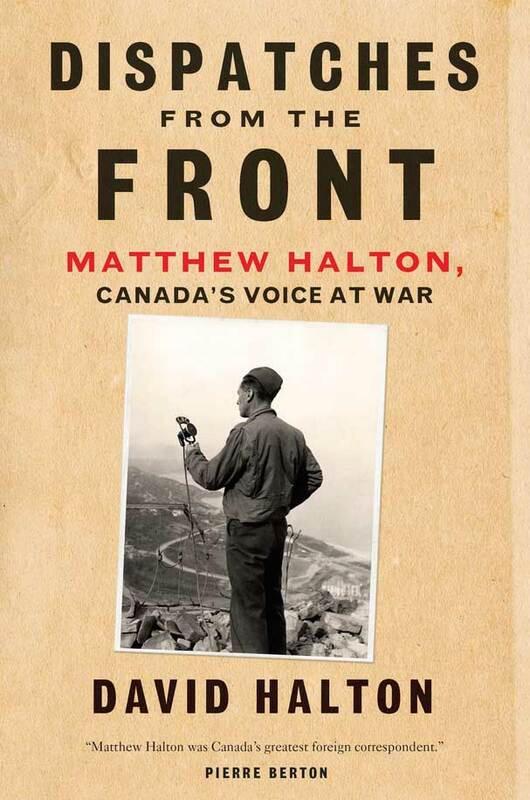 published by Random House Canada; Camilla Gibb (Toronto, Ontario) for This Is Happy, published by Doubleday Canada; David Halton (Ottawa, Ontario) for Dispatches from the Front: Matthew Halton, Canada’s Voice at War, published by McClelland & Stewart; and Wab Kinew (Winnipeg, Manitoba) for The Reason You Walk, published by Viking Canada — each received a $2000 honorarium and extensive publicity. 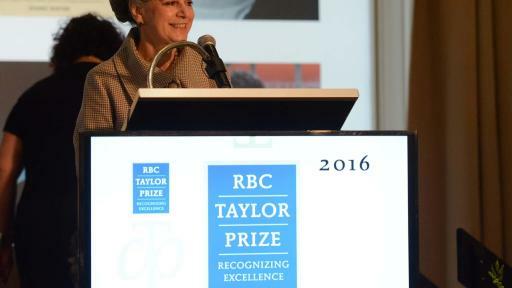 The jurors for the 2016 RBC Taylor Prize, broadcast chief Susanne Boyce, author and educator Joseph Kertes, and Professor Stephen J. Toope, approached their reading list with skill to determine the best works of literary non-fiction for this the fifteenth awarding of the prestigious prize. 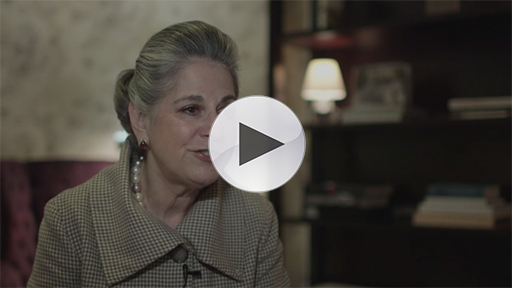 Presenting partner RBC Wealth Management will host Rosemary Sullivan on a speaking tour of selected Canadian cities. 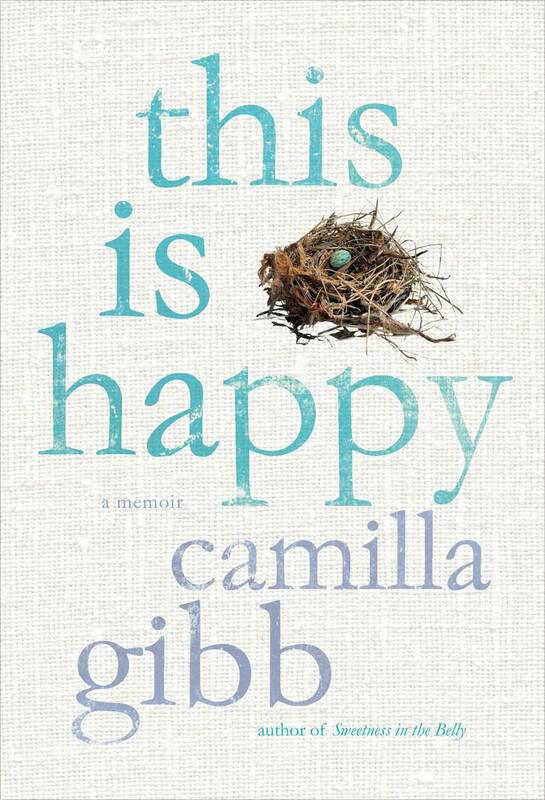 She will also be invited to speak at the International Festival of Authors (IFOA) in Toronto this fall. 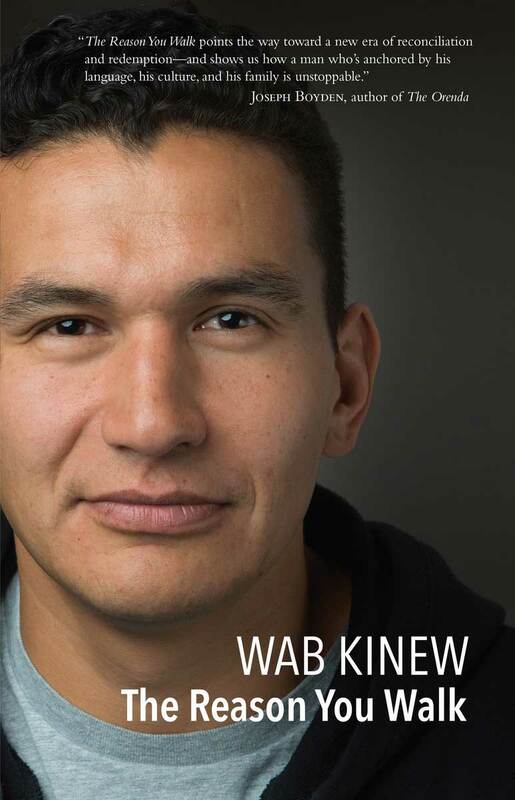 Sharing a commitment to emerging Canadian talent, the Charles Taylor Foundation and RBC will soon announce its third annual Emerging Writers Award, which is to be given to a promising Canadian author of non-fiction, selected and subsequently mentored by the winner of the 2016 RBC Taylor Prize. 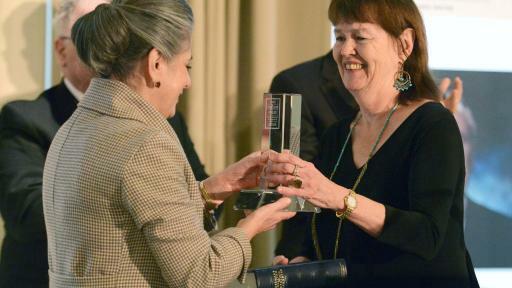 Along with mentorship, the recipient of this award will receive $10,000. “On behalf of RBC Wealth Management, congratulations to Rosemary Sullivan for this outstanding achievement” said Vijay Parmar, president of RBC PH&N Investment Counsel. 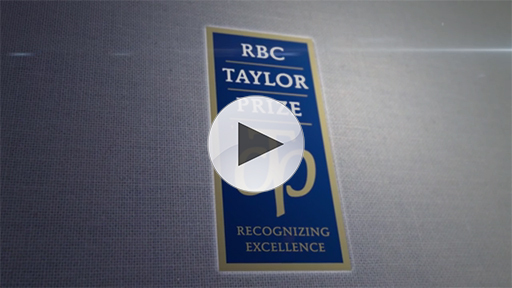 Established biennially in 1998 by the trustees of the Charles Taylor Foundation, 2016 marks the fifteenth awarding of the RBC Taylor Prize, which commemorates Charles Taylor’s pursuit of excellence in the field of literary non-fiction. 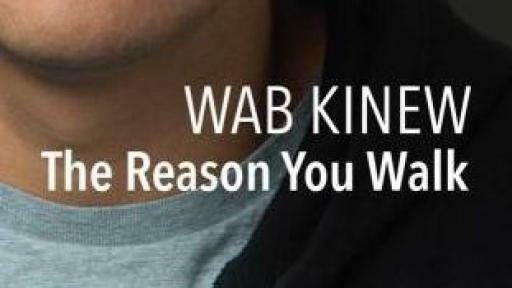 Awarded to the author whose book best combines a superb command of the English language, an elegance of style, and a subtlety of thought and perception, the Prize consists of $25,000 for the winner and $2,000 for each of the remaining finalists, as well as promotional support to help all of the nominated books to stand out in the media, bookstores, and libraries. 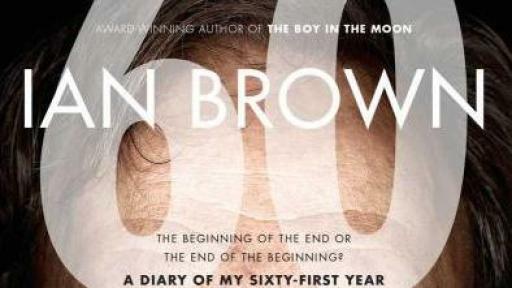 All authors are presented with a custom leather bound version of their shortlisted book at the awards ceremony. 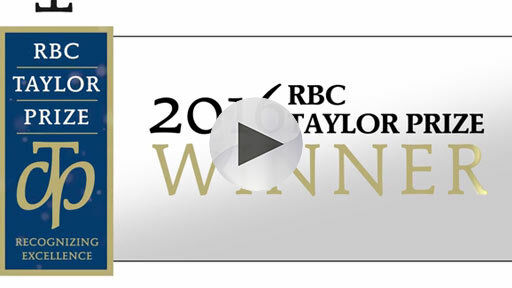 The presenting sponsor of the RBC Taylor Prize is RBC Wealth Management. 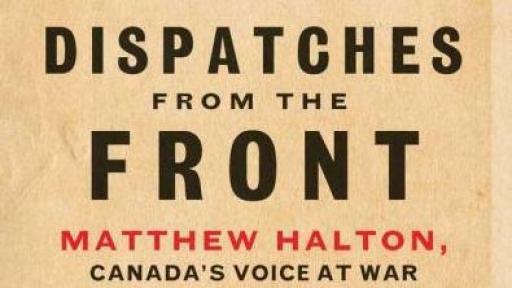 Its media sponsors are The Globe and Mail (exclusive newspaper sponsor), CNW Group, The Huffington Post Canada, Maclean’s magazine, Quill & Quire magazine, and SiriusXM; its in-kind sponsors are Ben McNally Books, Event Source, IFOA, The Omni King Edward Hotel, and the Toronto Public Library Board. 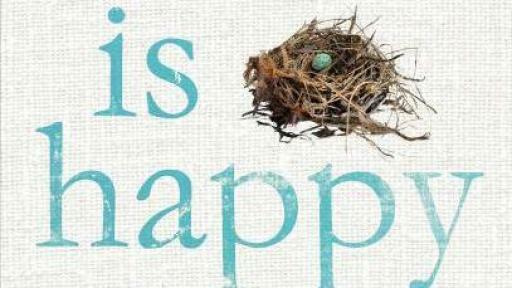 To download high-resolution images of the winner and finalists and their book covers, please go to www.rbctaylorprize.ca/2016/2016_shortlist.zip. 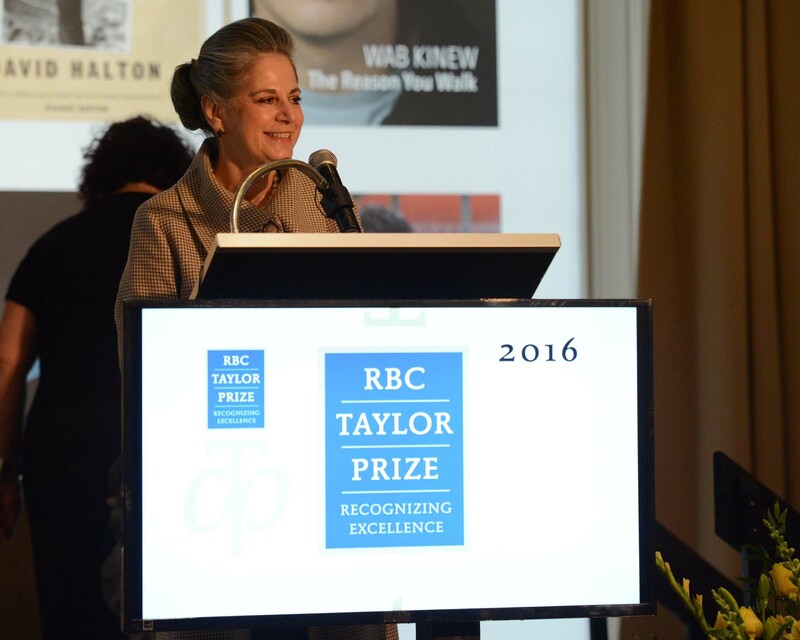 To download high-resolution images of the trustees and the jury please go to: www.rbctaylorprize.ca/2016/2016_trustees_and_jury.zip.